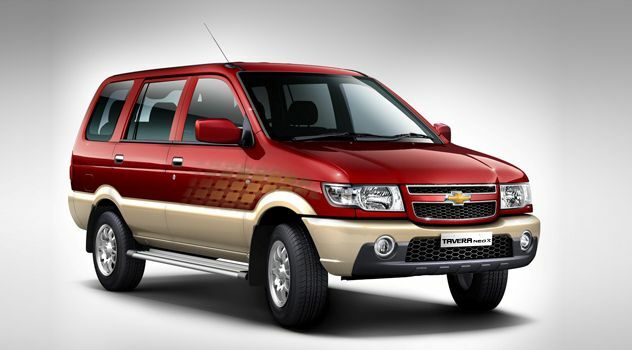 Chevrolet has launched all new Chevrolet Tavera Neo 3 in the Indian Market with the price tag of Rs. 6.72 Lakh (ex-showroom Delhi). 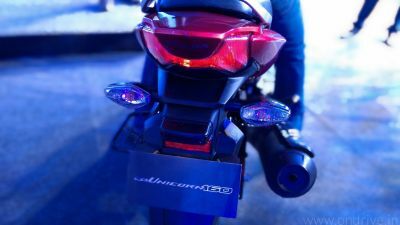 The car which was unveiled at the Auto Expo 2012 had been silently launched in the Indian Market. The new Chevrolet Tavera Neo 3 features all new Alloys wheels, new Big Headlamps which gives stylish looks and revamped front and rear Chevrolet Bowtie. The extra chrome finish on the car gives extra finish to the looks of the car. When it comes to Power, the new Chevrolet Tavera Neo 3 has 2.0 l new generation powerful TCDi diesel engine with the direct injection delivers more power with optimum mileage and less emission. The 4 Cylinder Direct injection Turbo Diesel engine delivers max power of 80 PS at 3900 rpm and Max torque of 186 Nm at 1800 rpm.The Tavera Neo 3 has 5 speed Manual Transmission with BS3/BS4 emission. Interior of Tavera Neo 3 has designed to give more leg room for the front seat passenger while three spokes steering wheel with Power Steering gives more power to ride a car in toughest roads with ease. Single DIN Audio system with AUX in mounted on the car keeps you entertain while driving. The new Tavera Neo 3 comes with power windows, rear window defogger and foldable 2 Row seats to add more comfort and convenience. The new Tavera Neo 3 with BS3 emission available across the country and the BS4 version of the MPV will be launched shortly. The Tavera Neo 3 available in 6,7,8,9 and 10 seater options.